A photojournal showcasing the best of southeast Alaska—visit Juneau, Glacier Bay, Hoonah, Sitka, Gustavus, Skagway, and Haines. See grizzlies, humpback whales, mountain goats, bald eagles, and puffins. Explore the original Hammer Museum and the Fortress of the Bear. 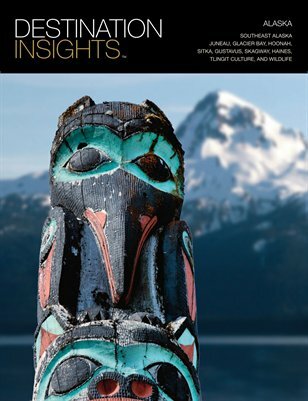 Discover Tlingit culture, totem poles, and kayaking in the wilderness.